Item # 305183 Stash Points: 1,199 (?) This is the number of points you get in The Zumiez Stash for purchasing this item. Stash points are redeemable for exclusive rewards only available to Zumiez Stash members. To redeem your points check out the rewards catalog on thestash.zumiez.com. 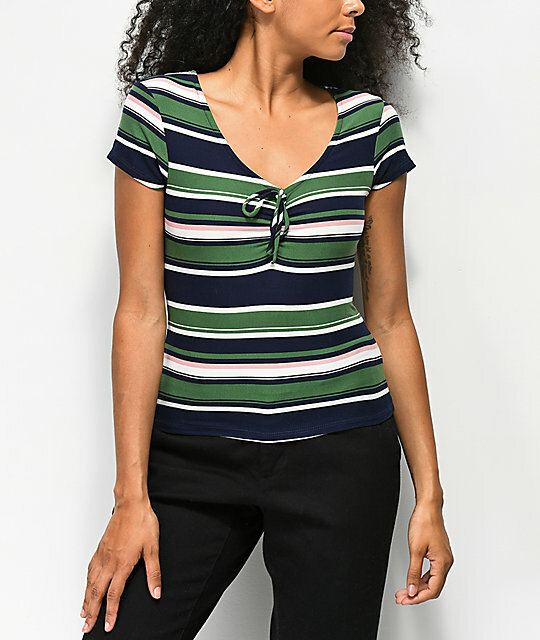 Complete your cute and casual looks with the Taylor Striped Green & Blue Rouched Top from Almost Famous. 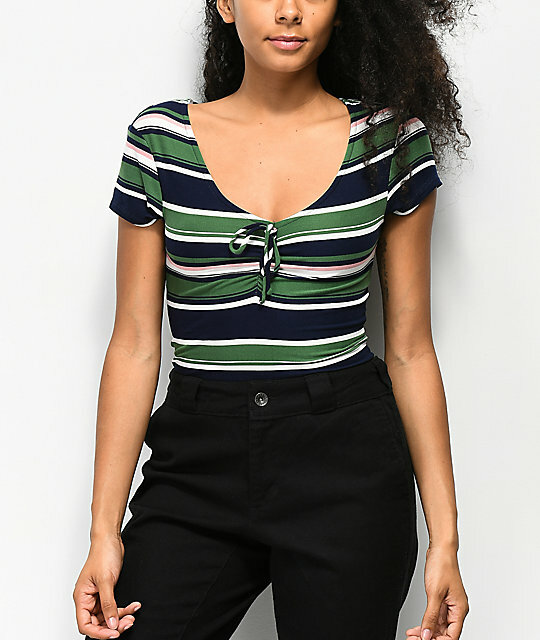 This ultra-soft v-neck top features a slim fitting, slightly cropped silhouette, along with rouched detailing at the center chest. The Taylor top was crafted from a soft knit fabric for a comfortable and flirty look. 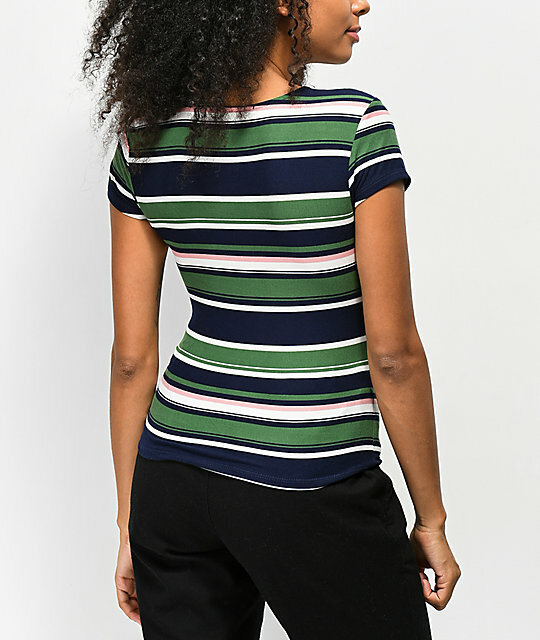 Taylor Striped Green & Blue Rouched Top from Almost Famous. 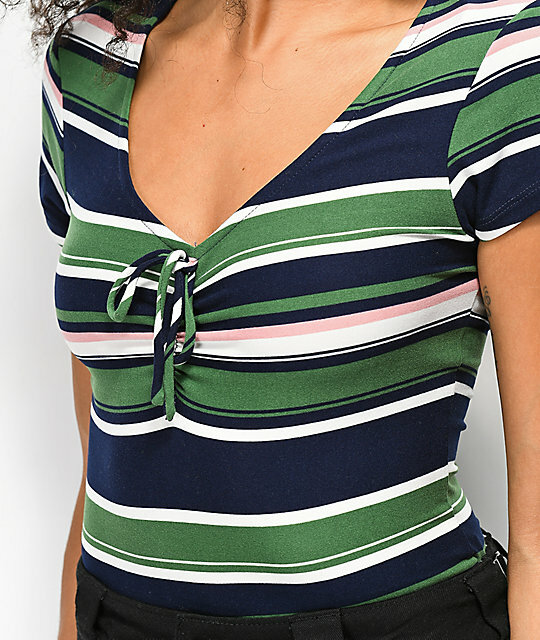 Blue, pink, white & green stripes throughout. Adjustable rouched detail down the center chest . 19.5" (50cm) from top shoulder seam to bottom hem.